Modular things are having a moment, even if Motorola’s plans for a modular smartphone look more pipe dream than practical reality. With modular robotics it’s a different story. Progress towards more sophisticated bot-making kits is being made steadily, block by block. 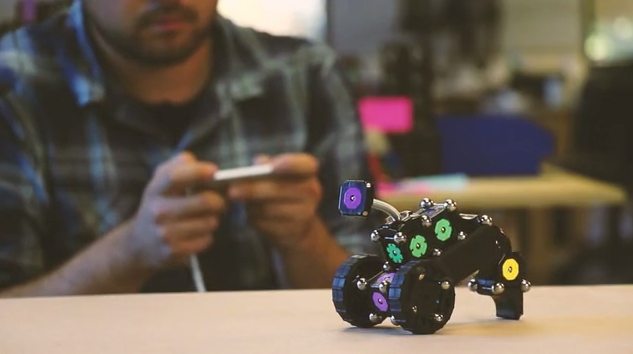 Just last month MIT created self-assembling modular bots, for instance. Today Modular Robotics, the Boulder, Colorado-based maker of the Cubelets robotics building blocks designed for kids and kidults, has kicked off a Kickstarter campaign for the next generation of its product, which it’s calling MOSS. The main change with MOSS vs Cubelets is an evolved design for the blocks involving ball magnet connectors. What’s so great about ball magnets? 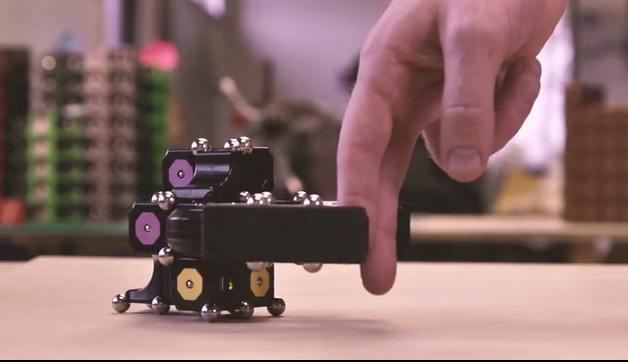 They allow for joints between blocks to be more dynamic — to swing or hinge, for instance — and thus for the blocks to be configured into a greater variety of more kinetically dynamic bots. The company has also increased the range of the modules on offer — to allow for a greater variety of bots to be built. The MOSS blocks will use colour-coded connecting faces to help signpost how they need to be connected up for the blocks’ various functions to work. Modules on offer include the likes of battery modules to power stuff; spin and wheel modules to add motion/movement; Bluetooth modules for data connectivity so you can pair the bot with a smartphone or computer and remote control it; and sensor modules for detecting light or movement. Snap the modules together in functional configurations and off you go. Modular Robotics is seeking $100,000 from Kickstarter backers keen to be first to get their hands on MOSS and start building. The estimated shipping date for the construction kits is February next year. It’s offering various kits to Kickstarter backers — starting at $59 for a simple starter kit that lets you build a light-sensing robot; or $99 for a kit to make a distance-sensing bot and build simple robots that can drive; up to $379 for an advanced kit that lets you build a Bluetooth-controlled car and more — or $949 for a “mega bundle” of two basic kits and two advanced builder kits so you have lots of pieces to play with.